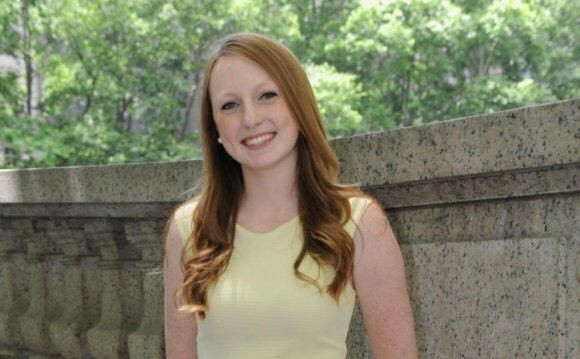 Allison Walker has been working at in an exciting, fast-paced internship in the Big Apple for the past few months. Despite the high cost of living, (a standard movie-ticket will cost you $13.50!) and despite the fact that NY is home to some of Boston’s biggest sport rivals (the Yankees), Allison has thoroughly enjoyed her internship and time so far in NYC. She was kind enough to give me the inside scoop on her internship, her viewpoint of NYC, and advice for any Husky who is looking to intern there. Ashley LoBue (AL): What type of public relations does BWR Public Relations do? Allison Walker (AW): BWR Public Relations is a celebrity PR company that works on the talent side, so we do celebrity PR, but we also do events for corporations. (AL): Tell me a little bit about what you do day-to-day as a public relations intern. (AW): Well the good news is that I never have to get coffee! It’s great because I get to do minimum “intern” work. In the beginning I had to do some photocopying, and I was charged with updating both electric and binder press kits for clients, but then I started getting more responsibility as the internship went on, which was really cool. I was given the opportunity to work NYC Fashion week, where I created client schedules, booked them for shows, and acted as their informal “body guard” during shows. So, I basically managed their interviews and any interactions they had with the press and photographers. I also got to go to the DKNY birthday party and made sure the clients were situated there and helped my supervisors create client schedules and looks for the Emmys. I’m really excited that I get to go to these types of different events (I go by myself or with a publicist) to make sure that everything is going according to plan for different BWR clients. (AL): So now I know a little bit about what you do and what you enjoy as part of the internship. What do you find challenging? (AW): Sometimes the work hours are challenging. For Fashion Week, I had to work all day and into the night to coordinate everything and make sure everything was going smoothly. Since auto transport companies work with multiple carriers, always try to contact your chosen auto transport provider at least two weeks before you need your car transported. This will allow the company's specialist ensure you the best service and rates. While it can definitely be possible to arrange an urgent delivery, you will not be guaranteed the best offer. Many people are familiar with the concept of "cybercafe". But how to choose the best? You can contact Corfu Cafe. The Interent access and free e mail, scanning, printing and on line games is not yet a complete list of services provided by Corfu Cafe. You can visit their website to get more information about this cybercafe, as well as read interesting articles on a variety of topics. Do not hesitate, Corfu Cafe is what you really need!